Polymath that's into Computers, Dogs, Friends, and Family. That pretty much sums me up. This is a single ring trial indoors on Sprinturf and consists of all levels (Starters thru Masters) of titling classes – Standard, Gamblers, Relay, Snooker, and Jumpers – offered over 2 days. In addition, we have a Grand Prix and Biathlon as well as Intro Jumpers. Depending on the entry size, we plan to offer a limited number of Mulligan runs and of course, if you need to do a little training in a trial environment, Fix and Continue will be offered in all classes which have a numbered course design. Stick around after the trial on Saturday for some fun and games and a Preakness watching party. Sign up on the entry form or email the trial secretary (JLGauntt@aol.com) before we order the food! As with all USDAA trials, entries are unlimited, as long as the entry is received by the closing date of May 8, 2019. Further information will be available as we get neared to the trial on the Artful Dodgers USDAA blog. 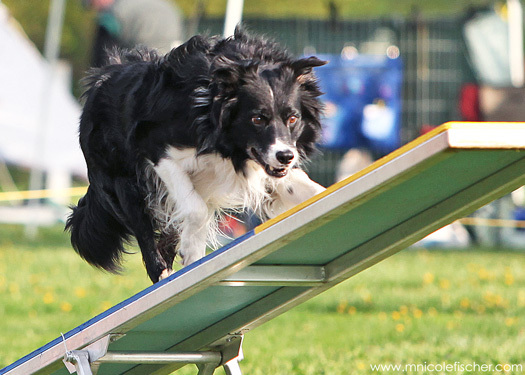 The premium for our June AKC Agility trial is now available. This is a one-ring trial, indoors with air-conditioning on field turf with judge Jacqueline M. O’Neill. You can find the premium and more information on this page. Entries are First Received and open next week on Friday, March 22. Come join us this spring in climate-controlled comfort for a Friday night AKC Rally and Saturday/Sunday AKC Obedience trial held on Sprinturf in our training building in Halethorpe, Maryland! You’ll find the premium on our website under Events on our AKC Obedience Trial Information page. Entries for this trial open in two days on Wednesday, May 8. Come join us this spring in climate-controlled comfort for our *new* AKC Rally trial held on Sprinturf in our training building in Halethorpe, Maryland! You’ll find the premium on our website under Events on our AKC Obedience Trial Information page. This trial is limited to 60 runs/day and entries open on Wednesday, January 9, 2019. If you’re looking for a chance this winter to work on some agility skills and training issues in a well heated, trial-like environment, be sure to check the schedule of Friday night agility run-throughs on our Agility Run-Through Information page. Entries open on Friday, November 30, 2018 for Oriole’s AKC Agility trial held on January 25, 26 & 27, 2019 at the Maryland State Fairgrounds in Timonium, MD. This is our annual trial in conjunction with the 2019 World of Pets Expo; don’t just come for the agility – come for the shopping too! Trial services are provided by Clantyre Show Secretary Services. The entry method is First Received. The particulars for this trial, along with a link to the premium list, can be found on the Oriole AKC Agility Trial Information page.